If you’re anything like us, over here at TRONO, you love adventure, exploring and being outdoors. And of all ways to travel, what better way to purely enjoy nature than by foot? North America has some of the best hiking opportunities in the world. With over a hundred beautiful national parks and hundreds of major trails, it is almost impossible to narrow it down to only 10. However, here’s a list of 10 trails and parks that we recommend you pay a visit to. 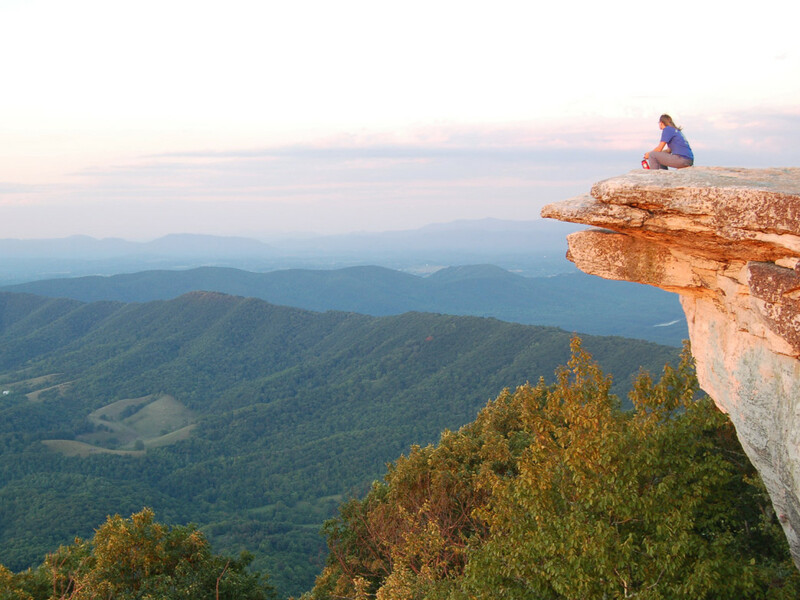 Whether you prefer short day hikes or more advanced thru-hikes, these trails and regions are for anyone who loves exploring the great outdoors! 1. Pacific Crest Trail, West Coast USA. If you’ve never heard of this trail before, you either live under a rock or you need to seriously update your current trail-knowledge. The Pacific Crest Trail or PCT is one of the most popular trails in the US and spans 2,650 miles (4,265 km) from Mexico to Canada through California, Oregon and Washington. It’s a long-distance trail that aligns with the tallest points of the Sierra Nevada and the Cascade range. 2. Bright Angel Trail in Grand Canyon, Arizona (South Rim). The Bright Angel Trail is one of the most popular trails in the Grand Canyon. It’s recommended for intermediate to advanced hikers, as it’s steep and quite challenging. The trail goes down into the canyon and is 7.8 miles (12.5 km) long one way. Another popular-, easier trail with, supposedly, even better views is the South Kaibab trail. 3. John Muir Trail in the Sierra Nevada Mountain range, California. 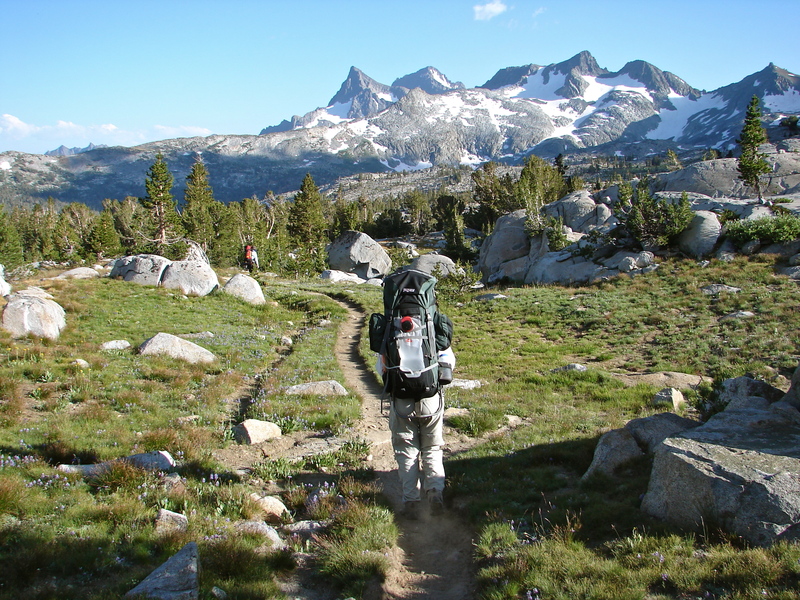 The John Muir Trail is quite possibly the holy grail of hiking trails in the United States. It starts in Yosemite National Park, and continues 215 miles through the Ansel Adams Wilderness, Sequoia National Park, King's Canyon National Park, and ends at the highest peak in the United States, Mount Whitney at 14,496 ft.
4. Ink Pots Trail in Banff National Park, Canada. The Ink Pots Trail starts in Johnston Canyon in Banff National Park. The name stems from a group of 7 crystal-clear ponds scattered around the trail and surrounding areas. These beautiful jade-colored pools are popular sights for tourists, so weekdays are better for avoiding the crowds. Another popular trail in Banff national park is Tunnel Mountain Trail, a short and easy hike which provides stunning panoramic views. 5. Angels Landing in Zion National Park, Utah. Formerly known as the Temple of Aeolus, Angels landing is a narrow-, 1,488 ft (454 m) rock formation. The 2.5-mile trail was cut into the solid rock and allows hikers to enjoy beautiful views of Zion Canyon. Some parts of the trail are very steep and have sheer drop-offs, so this trail is not for people who are afraid of heights! 6. Iceberg Lake Trail in Glacier National Park, Montana. With over 730 miles of marked trails, it’s safe to call Glacier National Park a hiker’s heaven. A round trip hike to Iceberg Lake is around 10 miles and offer outstanding views of mountains, alpine lakes and wildflower fields. If you get the chance, try to pay a visit to the Grinnell Glacier, which is in the heart of Glacier National park and one of the most photographed glaciers in the park. 7. Tararecua Canyon in Copper Canyon, Mexico. The Copper Canyon is actually not one-, but six separate canyons with the Tararecua Canyon supposedly the best for hiking. You will pass fantastic swimming holes, hot springs, indigenous villages and rough wilderness. The entire hiking trail takes about 5 to 6 days and was ranked one of the best in the world by National Geographic! 8. North Rim Trail on the Grand Canyon of Yellowstone River, Yellowstone National Park. 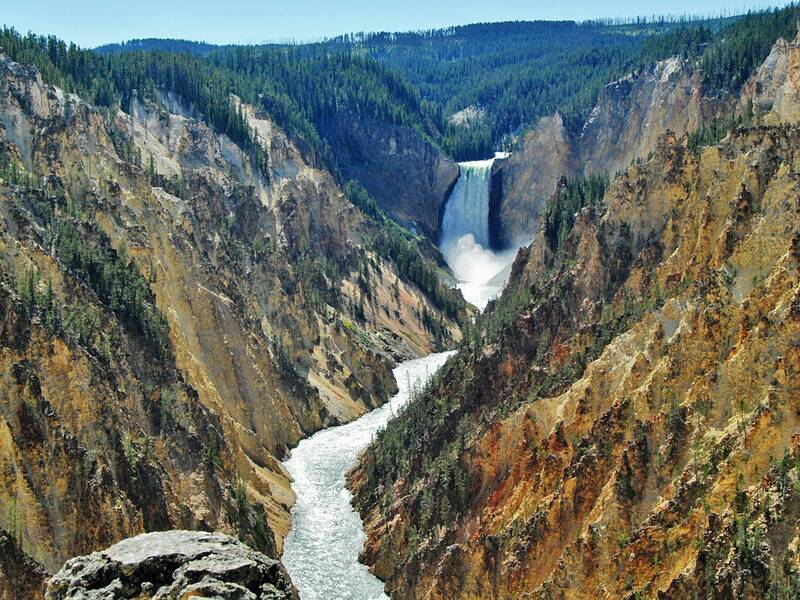 You absolutely must see the Grand Canyon of the Yellowstone river if you ever pay a visit to Yellowstone national park. The river, which runs for over 20 miles, carved the 1000 foot deep canyon. A very popular viewpoint on this trail, ‘Inspiration Point’, offers beautiful panoramic views up and down the canyon. The canyon also has two captivating waterfalls, which will guarantee even more memorable views. 9. Appalachian National Scenic Trail, East Coast USA. The Appalachian National Scenic Trail, better known as the Appalachian trail or the A.T., spans 2,200 miles (3,500 km) from Springer Mountain in Georgia and Mount Katahdin in Maine, passing through 14 states on the east coast. Thru-hiking the entire trail takes months, however, you can also hike sections of the trail, starting wherever you prefer. Most of the trail is in the wilderness, with some parts passing towns, roads and rivers. 10. Four Pass Loop Trail in Maroon Bells - Snowmass Wilderness, Colorado. 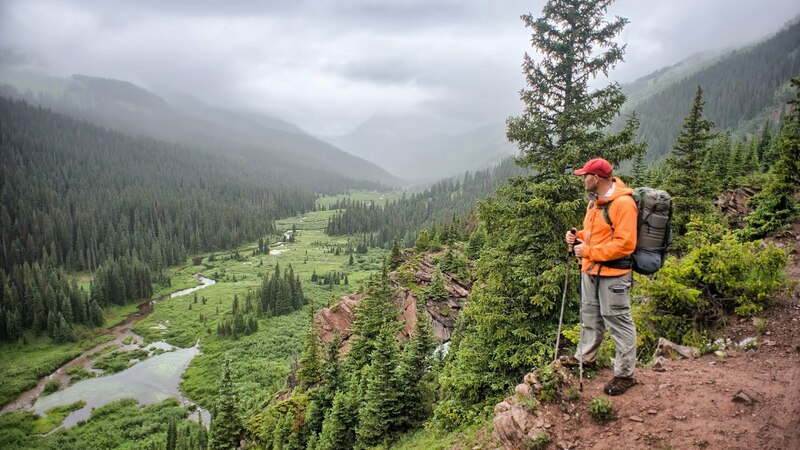 This famous trail in Maroon Bells - Snowmass Wilderness is 24 miles (42 km) long and climbs over 4 mountains, passes alpine lakes and the Elk mountain range. It takes about 3 to 4 days to hike the entire trail, making it very popular for backpackers. You will come across some of the most amazing scenery when hiking this trail!